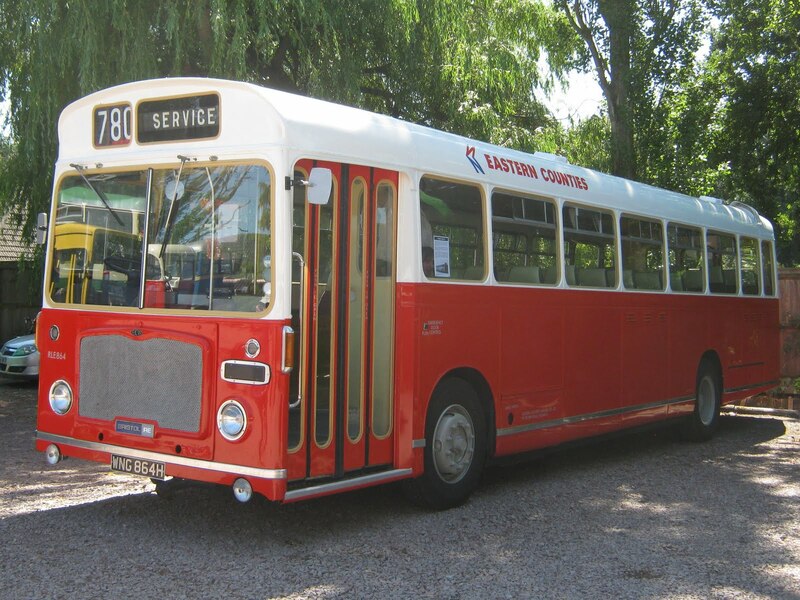 My 100th blog post coincides with my visit to the East Anglia Transport Museum's Bus Event held today at their Carlton Coleville Museum. Despite a later than hoped for start, I still found a wide variety of vehicles present and operating on a lovely warm sunny day. Former Eastern Counties’ vehicles were also evident with my journey from the railway station to the museum being provided by former Bristol LFS Lodekka GNG125C. Also operating on excursions was single deck RLE864 WNG864H. 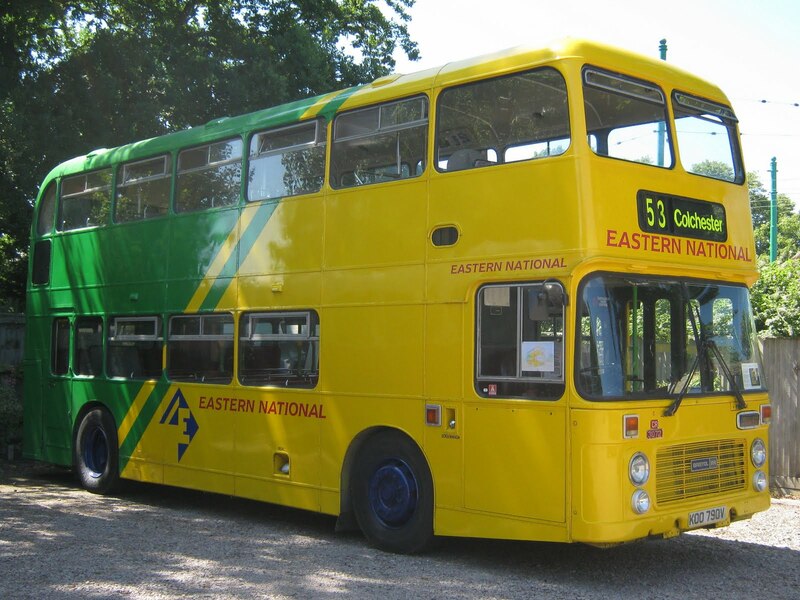 Star of the show for me though was former Eastern Counties RE896 SVF896G which looked very smart in the afternoon sun. I can remember these operating in and out of Great Yarmouth's Wellington Road depot. Another Eastern Counties single decker making an appearance was Bristol L5G LL711 KNG711 seen here on the left at the Chapel Road turning area at the museum. 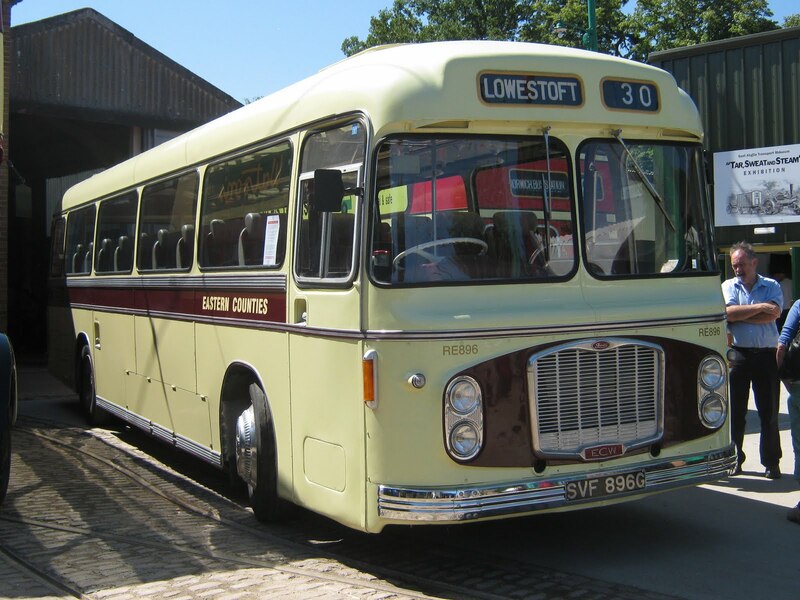 There were also two Westcliff on Sea examples present - ECW bodied Bristol K5G AJN825 (shown below) and Leyland National YEV307S. 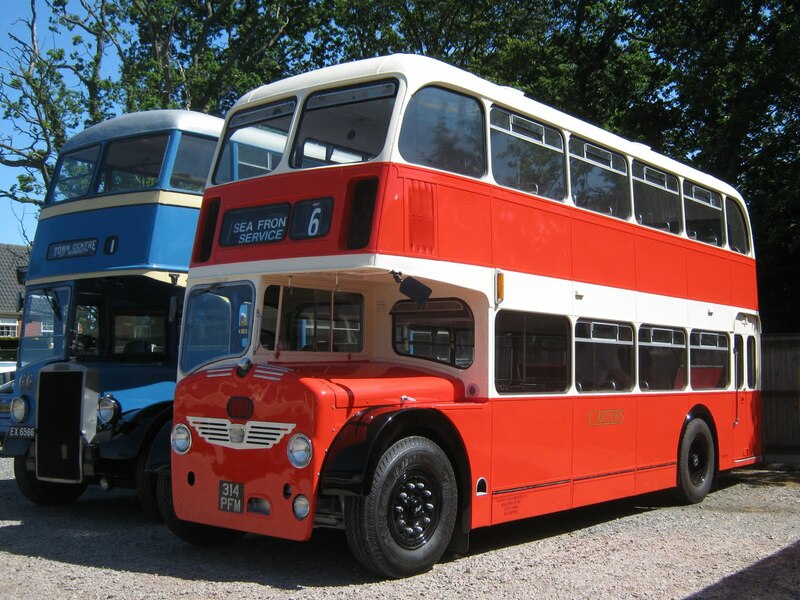 The latter was restored by Colne Estuary Preserved Buses. 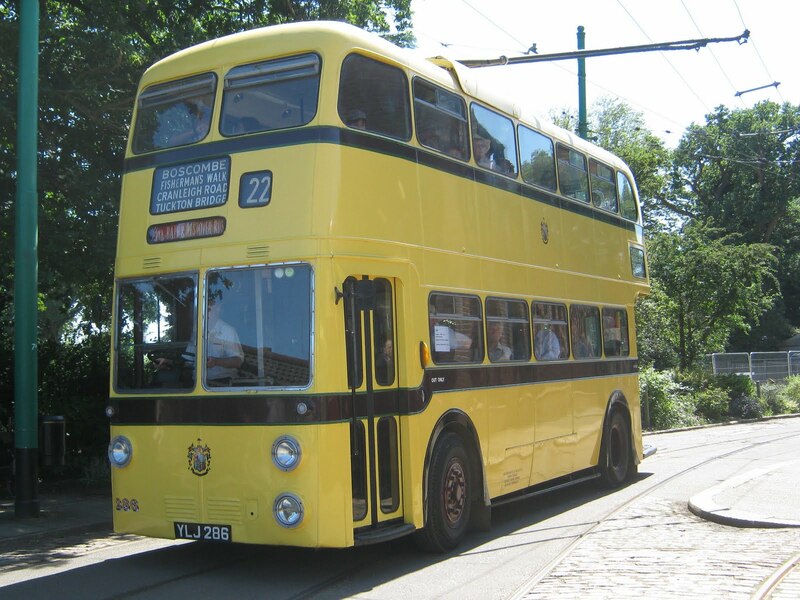 Trolleybuses active at the museum included 1959 built Bournemouth Corporation Sunbeam No 288 YIJ286. It has Weymann bodywork. 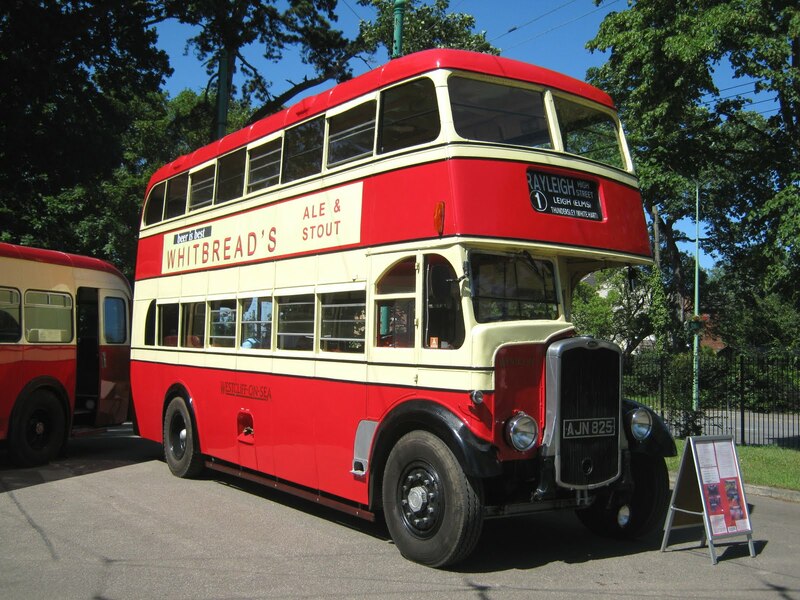 1939 built Blackpool railcoach No 11 was also in action and provided an enjoyable ride to Hedley Grove and back. I just had to use the opportunity to reverse the seats on the return journey! 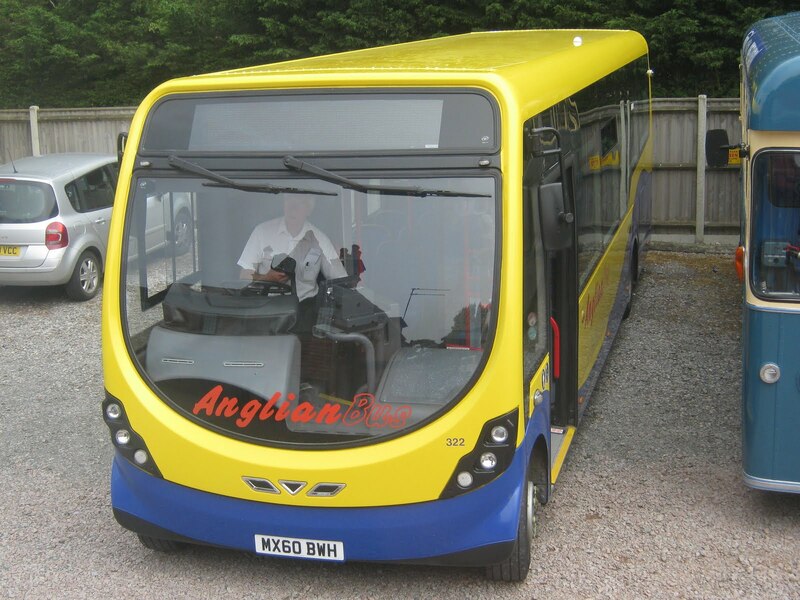 Anglian was operating a StreetLite (or Lamposts as they are affectionately known to enthusiasts!) 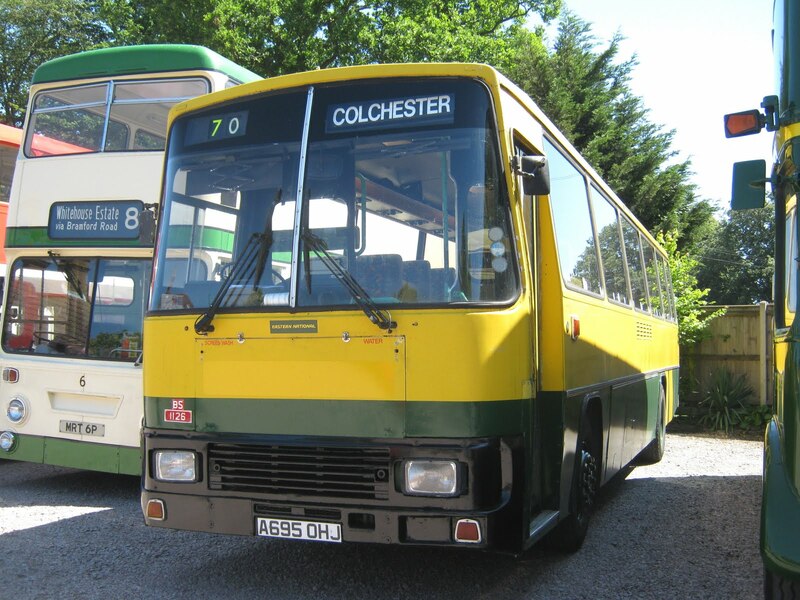 on a shuttle service to its Beccles depot to view its vehicles on display there. After an enjoyable afternoon at the museum, it was soon time for the journey back home with another former Eastern Counties bus providing the power – this time I secured a top deck front seat on Bristol VR 385 OCK985K! 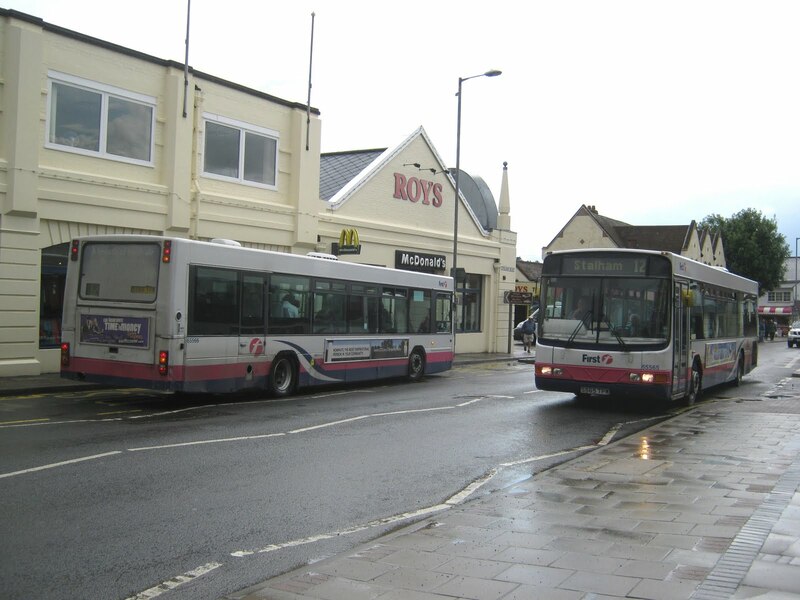 With an hour to spare in Wroxham yesterday afternoon, I decided to observe bus activity in the area. I had remembered from a previous visit, that all services went along Norwich Road, so I positioned myself outside the infamous Roys Stores close to the crossing to take my pictures. However, I was caught napping when Anglianbus Scania 416 R81EMB approached from the Norwich direction and turned down Station Road on route 23. This resulted in a mad dash to get a photo whilst its passengers were alighting but it wasn't a good one. I needn't have been too disappointed as 416 made a loop of the store along Neweys Way for its return to Norwich. She is pictured here in Norwich Road picking up passengers. Just before the rains came, Norse 7119 Y335YUT headed in the same direction - presumably heading back to base. When the rain did arrive, I was fortunate in getting a picture of two First Eastern Counties Scanias both on service 12 working in opposite directions. What was more unusual was that they were ﻿only one fleetnumber apart; 65565 S565TPW was destined for Staham whilst 65566 S566TPW was on its way to Norwich. 19 vehicles were at Beach Coach Station during the early afternoon of the 22nd June. 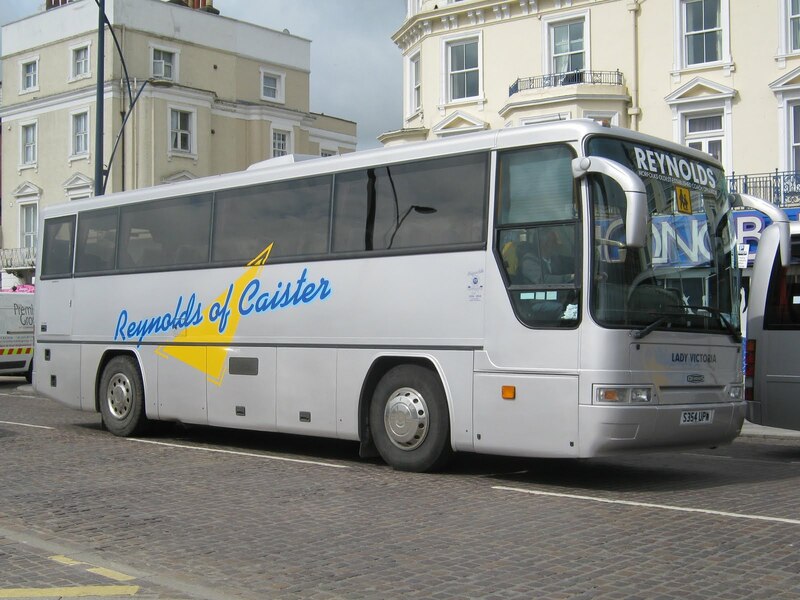 The Nottingham City coach was YN07DZW, which was also seen picking up its passengers at the New Beach Hotel earlier this morning. Also onsite was Fowlers DAF SB3000/Plaxton FUO197 which was photographed just before the heavens opened! During my visit to Great Yarmouth yesterday I saw Anglian StreetLite 325, registration MX60GXA, on the 13.20 581 route from Beccles. (The driver has already reset his destination for its next duty!) 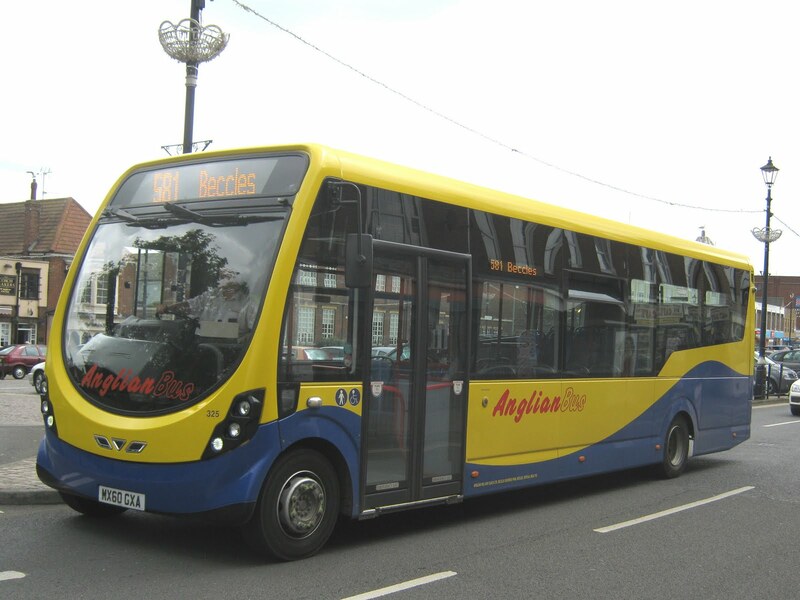 This appears to be a regular working for a StreetLite and 325 is pictured here in Great Yarmouth's Market Place. The bus next works the 14.10 return 581 service back to the Suffolk town. Just five vehicles to be seen at Beach Coach Station including a Shearings Setra, 217 BF10VCK. An unsettled day weatherwise with sunshine making the odd appearance now and then. However, my visit coincided with overcast skies yesterday afternoon when I noted National Holidays NH06DEH (above) and Shearings 107 BK09RMZ (below); the latter in Grand Tourer livery. 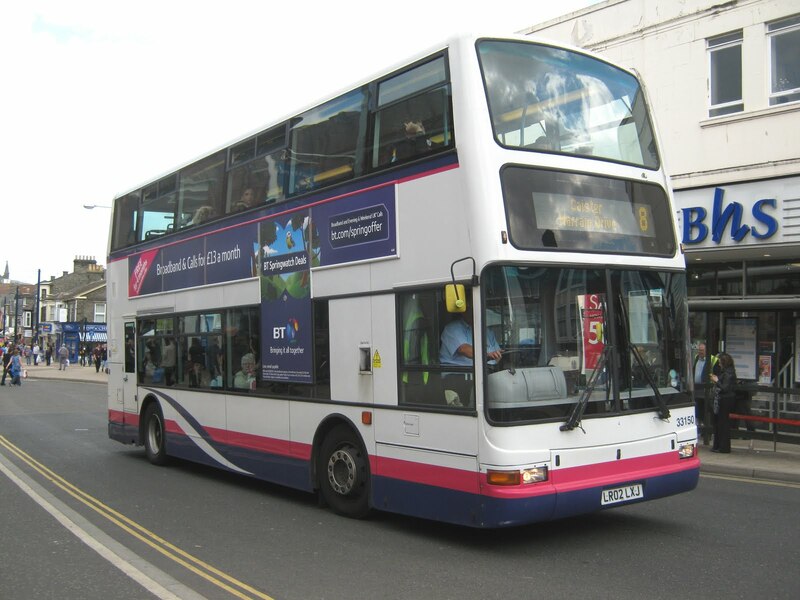 The Great Yarmouth Mercury, the local newspaper for the Great Yarmouth area, again contained bus related topics - some in the form of updates to last week's edition. We want our bus service back! Last week's Mercury reported on First Eastern Counties cutting the service 3 link between the town centre and the seafront. This week's front page highlights concerns at the opposite end of the route with First ceasing to use Newport Road in Hemsby. The operator says that reversing at the end of the road to make a turn could pose a danger to passers by and that is why they have stopped using it. The move has prompted an outcry from those living, working or staying in the Newport area. For a full report see this week's issue. 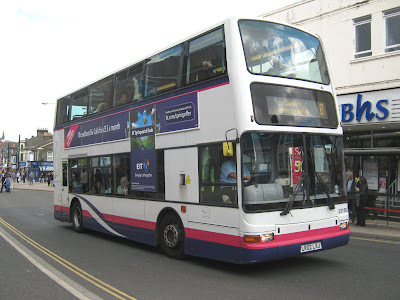 Following the decision by First to terminate its service 3 at Market Gates, another operator has stepped forward to provide a connection between the town centre and the seafront. Swift Taxis and Private Hire are in the final stages of formulating the service to run during the school holidays. The hourly service would operate in the form of a loop taking in Vauxhall Holiday Park, Market Gates, Pleasure Beach, and Seashore Holiday Park. 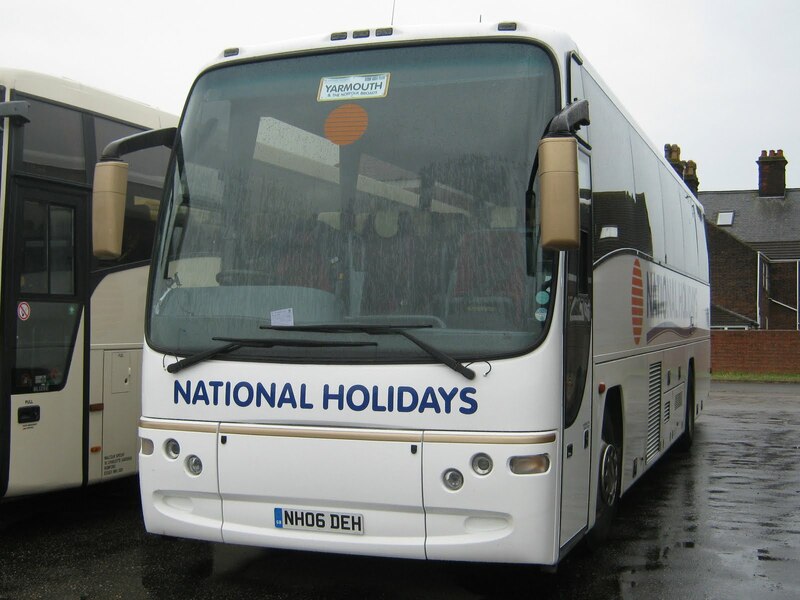 It is due to run seven days a week from 24th July to 4th September including bank holidays. Local train operator, National Express East Anglia, has announced that a full train timetable will operate from Monday 20th June. Two rail services had been replaced by buses whilst one of the local train fleet underwent accident repairs. It's been reported on the Anglia Thames Valley Bus Forum that four new Wright Eclipse Geminis for First Eastern Counties were spotted at Pops Services, Lymm on Wednesday night. A ten day holiday touring the Rome & Sorrento areas of Italy povided some interesting transport related subjects for photography too. 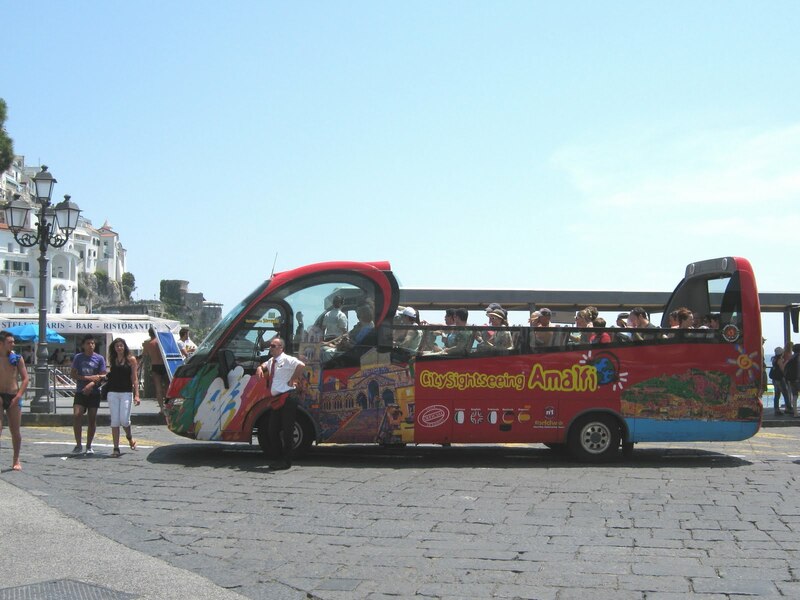 Buswise, the best photo was that of an open topper in Rome about to work a city sightseeing service. Registered as DT 614ZH, she is a Volvo B7L with Ayats Bravo City bodywork and is pictured in Rome on the 7th June. Three days earlier we went on a tour of the Amalfi Coast where we found the following unidentified single deck open topper in Amalfi town, also on sightseeing duties. I was fortunate in that my first photo was that of what appears to be of a vintage tram (number 2035) heading towards Piazza Risorgimento on 8th June. 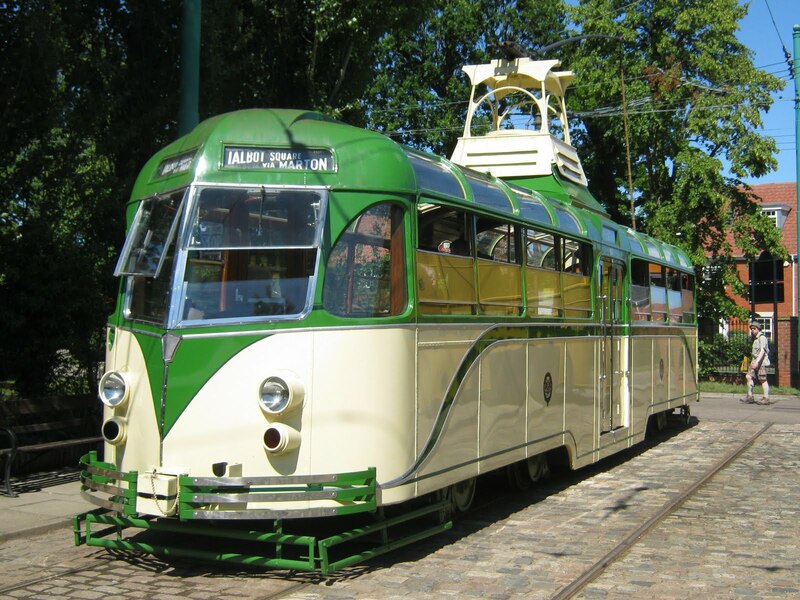 Subsequent research shows it to be one of five remaining 1935 vintage 2000 series 4 axle cars with 2035 being a 'school tram' but available for charters. The second and third photos include tram 9015 on Via Ottaviano. 9015 is a member of the 9000 series or the Socimi classs delivered between 1990 and 1992. The first shows 9015 nearing the Ottaviano/Barletta stop whilst the second shows her picking up passengers there whilst Stanga class 7017 heads in the opposite direction. The final photograph shows one of the more modern 9200 series trams. Number 9250, manufactured by FIAT in the early 1990s, is seen at the Piazza Risorgimento terminus in the company of Socimi class 9016. From the destination blind it looks as though it has (or is about to) undertake a schools service. He also saw former Kings Lynn Volvo B7TLs 30887 and 30888 both in service on the 8's. 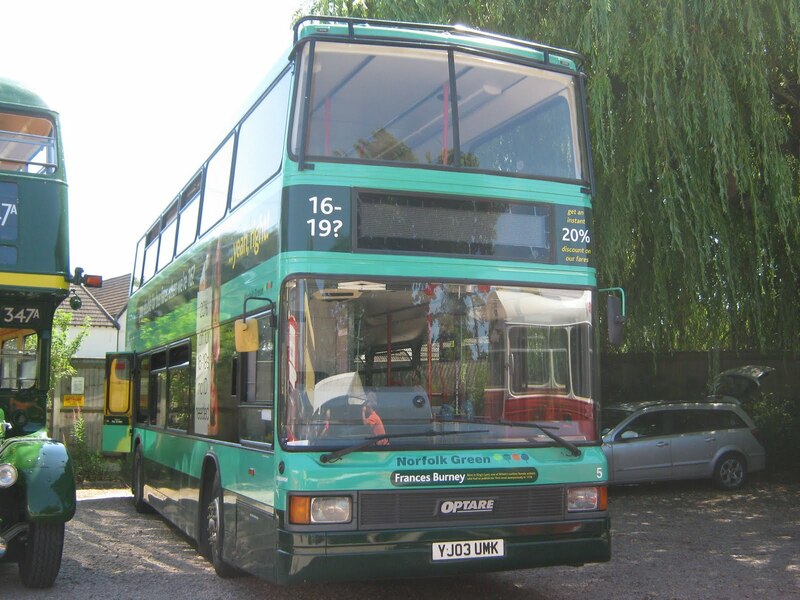 His journey home was on Anglian’s 437 AU11EPF, its first day in service, with chewing gum already on the front seat! It's an Optare Versa B37F. 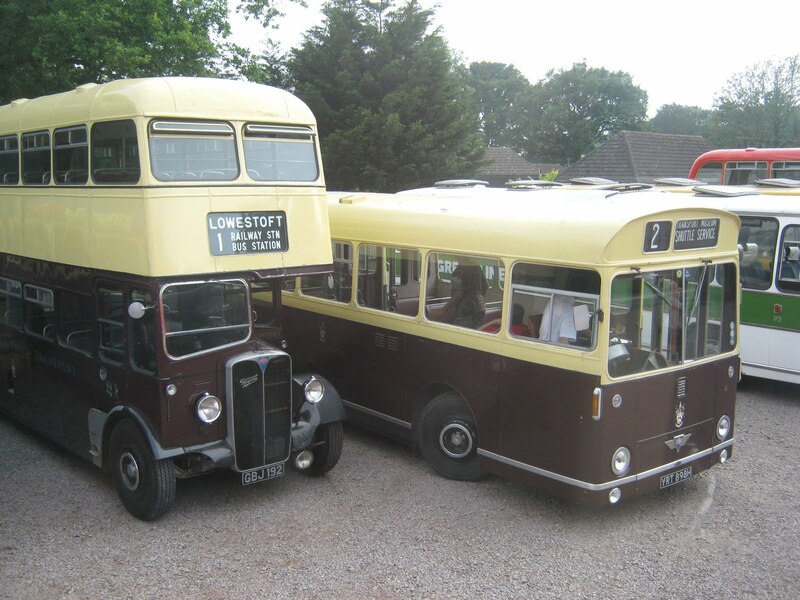 Following my previous posting on the transfer of three First Eastern Counties double deckers from Kings Lynn to Great Yarmouth, the remaining pair travelled to the seaside during Sunday (12th). Caister Road wasted no time in getting at least two of them in service yesterday. 30889 (W344DWX) was on a Bernard Matthews contract just after lunch time (see photo), whilst another was being used on the seasonal service 3. Two of the four former Ipswich B10BLEs were present at the front of the Caister Road depot yesterday afternoon - 60807 and 60813 are pictured below. 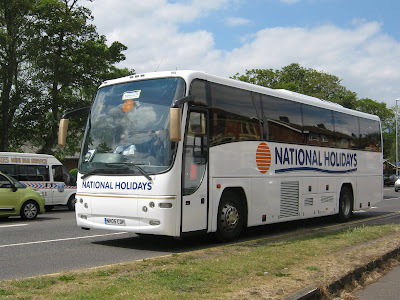 After I had photographed the Ipswich duo, I was quick enough to capture National Holidays NH05CDH passing along Caister Road, no doubt returning its passengers to their hotel following a days outing. The day didn't end there though as I was surprised by Norwich's Trident 33150 (LR02LXJ) exiting Market Gates on the 8 to Caister. 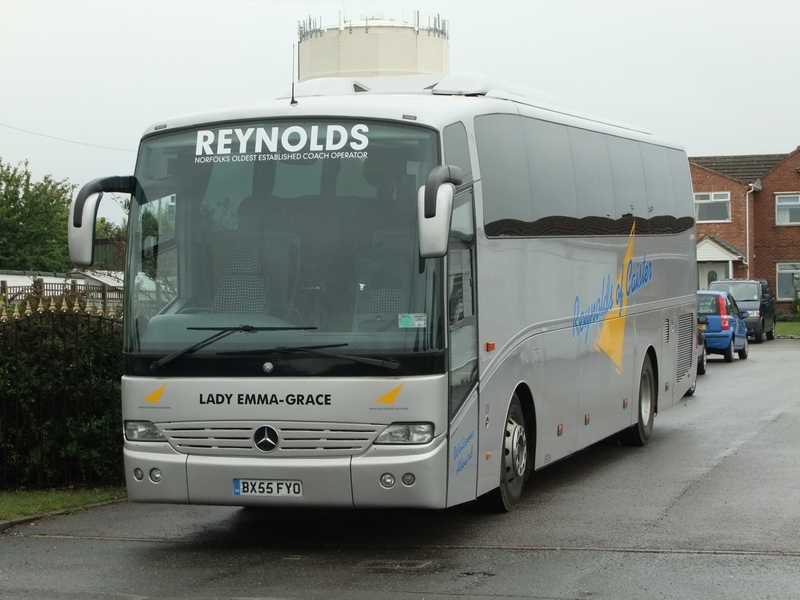 As for Beach Coach Station, there were only six vehicles present including Whippet's B10M J670LGA - that makes a change from regulars J689LGA and J669LGA!! With Saturday being the last day of First Eastern Counties operation in Kings Lynn, the operator has wasted no time in moving its vehicles away. 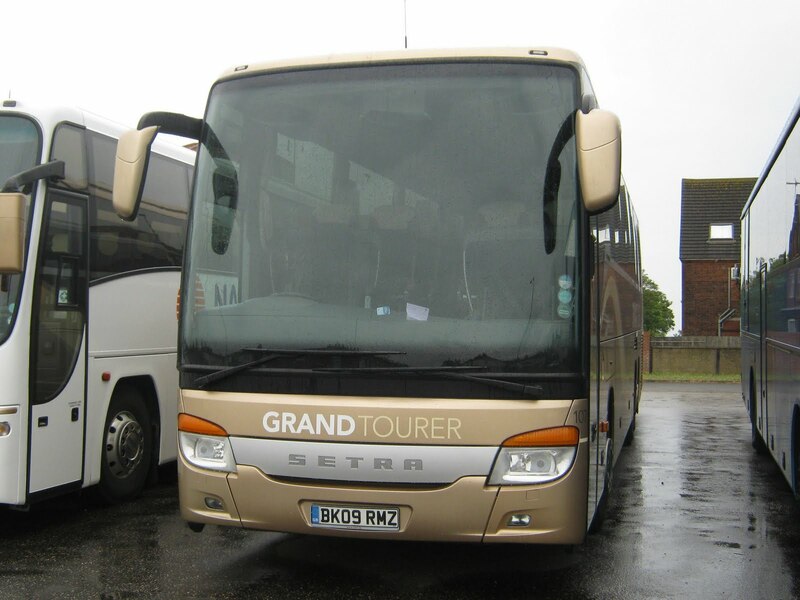 Also transferred to Great Yarmouth from Ipswich are Volvo B10BLE's 60807/8/13/14 (S657/8/64/5RNA). It is unsure whether these are replacements for vehicles scheduled for withdrawl or for those being transferred away. Olympian 34333 (H132FLX), which was originally scheduled to move away, will now remain at Great Yarmouth. The first report is that the town's Market Gates bus station is to receive thousands of pounds of investment later this year. The money is to be spent on maps, electronic signs and improvements to its general appearance. The work has been prompted by the widespread dismay over current facilities available. The local council's Head of Planning and Business, Peter Warner, has expressed his concerns over the replacement of two early morning rail services by buses. The trains are the 08:09 Norwich to Great Yarmouth and the 08:47 return. He continues that he "finds it difficult to understand that there appears to be no available rolling stock to operate the 'missing service'. 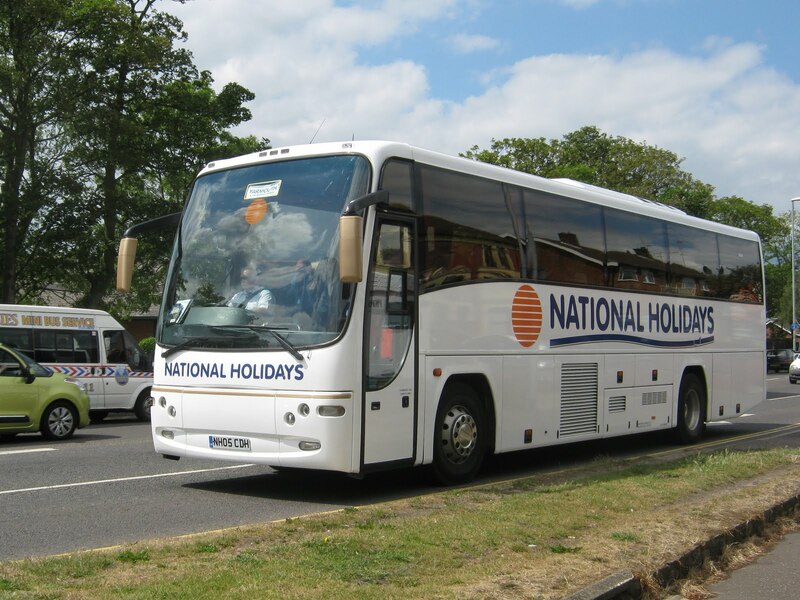 Of equal concern is that the bus replacements offer no alternative to the queues on the (A47) Acle Straight to Great Yarmouth during the morning peak period." You will be pleased to know (some may not, of course!) that the blog has restarted after a short break. This was not due to any technical difficulties but due to the fact that I was out of the country on my hols. 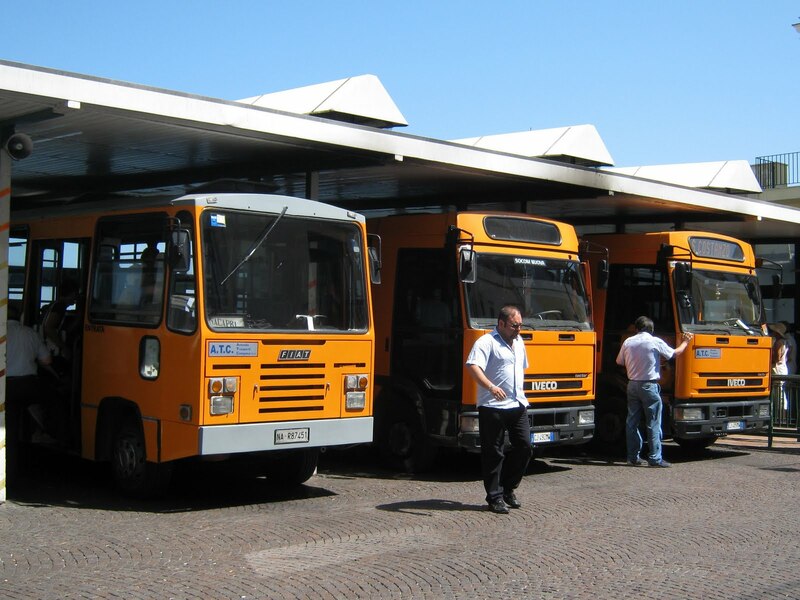 Forthcoming posts, in the next few days, will provide information about my bus sightings in Italy plus a review of this week's Great Yarmouth Mercury which has three interesting items to report. So please be patient whilst I up load all my holiday pics (only a few bus related ones - as I really do have a life!!) and undertake the necessary research to ensure information is correct.